Last week we published an article on Facebook’s new Live Audio feature and discussed the possibility of audio being an effective format for delivering your marketing content such as eBooks, interviews, and announcements. The notion of sound without moving visuals presents two interesting opportunities: firstly, you can focus only your words and not on design principles; secondly, listeners can internalize your content while doing other things. Perhaps audio will lead the future of content marketing, but for now, it’s clear that video accounts for the majority of internet traffic and engagement on Facebook. Not to mention, when it comes to virality, video is quite peerless. Video naturally engages more of our senses; and in the age of information overload, it’s pivotal for B2B marketers to offer content that is easily digestible. 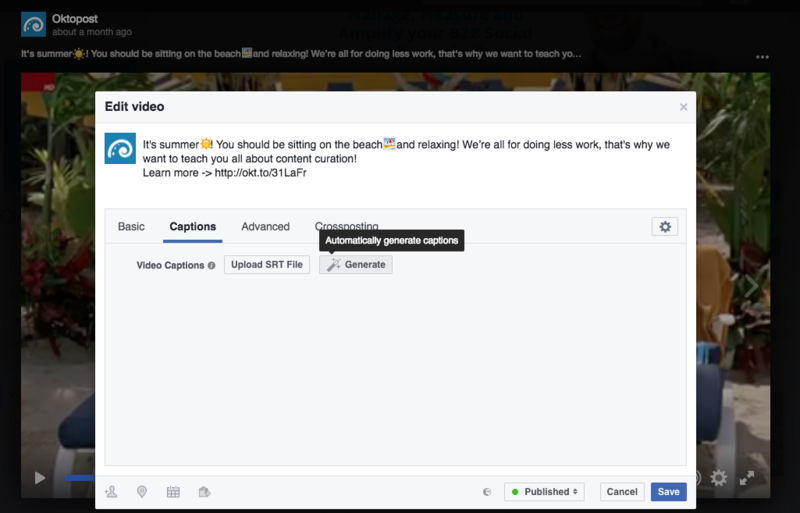 Have no fear marketers, because Facebook’s Automatic Caption Generator will upgrade your videos! What Is the Facebook Caption Generator and How to Use It? Think of the last time you watched a video on Facebook – perhaps you were on the bus or train so you watched it on mute. In fact, 85% of Facebook videos are being watched with the sound off. It may seem bizarre, but your audience should have the flexibility and convenience to watch videos without sound – and the video should still make sense. 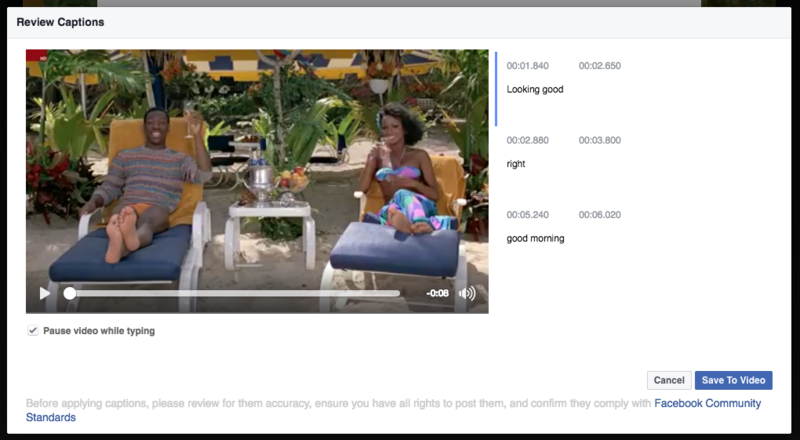 Similar to YouTube captioning (who had this feature for a while), Facebook’s Caption Generator allows you automatically add captions to videos and edit them afterwards so people can follow them without any sound! The voice recognition software identifies each word and transcribes it automatically. While this technology is not yet perfect, it spares you the time of having to write word for word and allows you to easily edit the captions inside Facebook. Go to one of your videos and at the top right, select the “Edit Post” option. You can even go back to your Facebook Live Video and add in the captions! Next, click on the Captions tab and select ‘Generate’ to automatically create captions for your video. 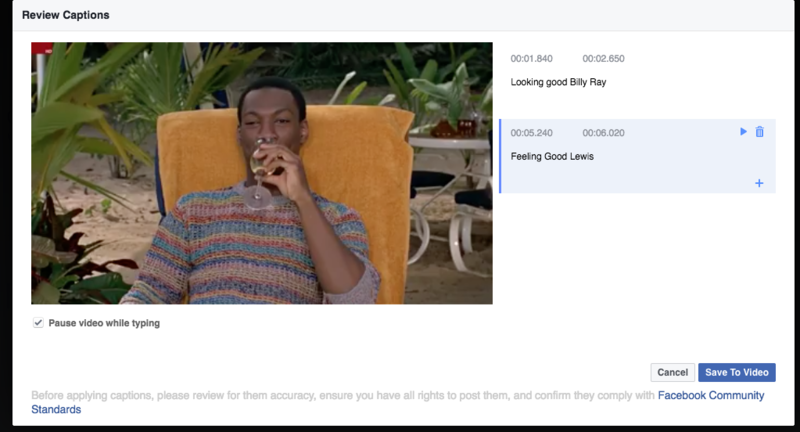 A window will appear where you can view Facebook’s automated captions on the right side of the video. You can now edit your captions line by line, making sure they are synchronized with the visuals. All you have to do now is click save and ta dah – your video is officially ready to be viewed on mute! There you have it – a quick, easy tool for enhancing your Facebook videos! It’s Time to Get your Videophile On! Facebook loves video and is investing in improving their algorithm to boost your video content – an effort that could seriously undermine your other marketing initiatives. 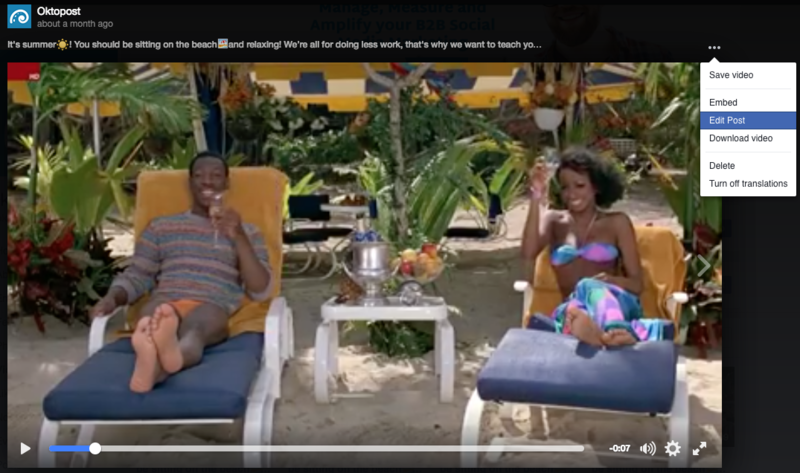 Even the auto-playing of videos demonstrates Facebook’s preference of this medium above written posts. Tailoring content to the whim of Facebook’s algorithm is only going to help you scale on this social network. Along with this, creating videos will drive significantly higher shares on Facebook. This fact has been proven by Buzzsumo who recently revealed that video is number one when it comes to content strategy. The facts are clear cut. Increasing your video output (particularly on Facebook) will increase your brand exposure! But it’s not about creating any video, it’s about creating the right video that’s going to be relevant, engaging, and valuable to your type of audience. B2B marketers should take the time to analyze the type of content that drove results in the past and recreate it in the form of video.